Did you know that God loves you? He does! The Bible says so! "The LORD appeared to us in the past, saying: "I have loved you with an everlasting love; I have drawn you with loving-kindness." (Jeremiah 31:3, NIV; see also Romans 5:8, John 3:16) The Bible teaches that because of God’s great love for you He has a wonderful plan for your life. (Jeremiah 29:11). Why don’t we experience the love, joy, peace and fullness that comes from living out God’s loving plan for our lives? Sin. Sin, the bad things that we say, do or think separates us from God’s fellowship, blessings and eternal life. The moment we choose to sin (disobey God’s Word) is the moment we start on the road to hell. The Bible says, "For all have sinned and fall short of the glory of God" (Romans 3:23, NIV). The Payment for Sin is Spiritual Death in Hell. The Bible says, "For the wages of sin is death…. (Romans 6:23a, NIV). The Bible teaches that God is holy and just and must punish sin. “Wages” are the payment that you receive for the work that you have done. The payment (wages) of sin is spiritual death in hell. Because of our sin (the bad things that we have said, thought and done) each of us deserves death and hell. BUT Because God loves you, He does not want you to go to hell, but to have a love relationship with Him that will bless you now and one day take you to heaven. That is why God has sacrificed so deeply to make possible a life changing relationship with Him. The Bible tells us ".. .that Christ died for our sins according to the Scriptures, and that He was buried, and that He rose again the third day according to the Scriptures" (1 Corinthians 15:3b-4). When Jesus died on the cross, He paid the penalty for the sins all of those who will believe in Him. Because Christ has paid the price for our sins we can receive the “gift” of eternal life and be able to go to heaven. "For the wages of sin is death, but the gift of God is eternal life in Christ Jesus our Lord" (Romans 6:23, NIV). We Must Turn, Believe and Receive the Gift that God has Offered to Us. The Bible says, "Repent, then, and turn to God, so that your sins may be wiped out, that times of refreshing may come from the Lord" (Acts 3:19 NIV). The word “repent” means to “turn.” God is calling each of us to make the commitment to turn from our disobedience to Him and to turn to Him in faith and obedience. He will help us to turn away from sin and to live for Him. "Yet to all who received him, to those who believed in his name, he gave the right to become children of God" (John 1:12, NIV). A “gift” cannot be used until it is “received.” We must place our faith in Jesus and receive Him as our Lord and Savior by turning from our sins and placing our trust for life and eternal salvation in Him. The Bible promises, "Everyone who calls on the name of the Lord will be saved" (Romans 10:13 NIV). Would you like to experience the love, peace and fullness that comes from living out God’s plan for your life? Would like to have the assurance that you will go to heaven one day? It all begins by making that commitment to turn from sin and placing your faith in Jesus. 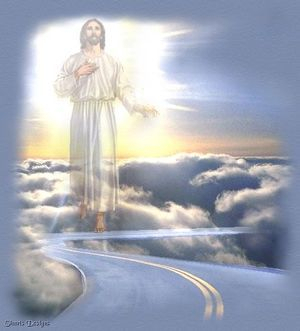 Will you pray to Jesus and invite Him to come into your heart today as your Savior and Lord? Now that you are a Christian what are you supposed to do? Three "t's" will help you to remember, talk, train and tell. The love, joy, peace and victory of your Christian life is directly dependent on your personal relationship with Christ. To strengthen that relationship talk (pray) to God each day. Allow God to talk with you as you read and study His Holy Word, the Bible each day. Train yourself to have a daily time with God and to obey everything that He tells you to do in the Bible. That obedience begins with being baptized and joining a Bible believing church. Then tell others how Christ has saved you and the many ways that he is blessing your life. For more information or free material, please contact us!